Take a journey deep into the Star Wars™ universe and explore the artistry of the world’s most recognized cinematic costumes. From Queen Amidala&apos;s lavish gowns to Darth Vader&apos;s commanding black armor, see original wardrobes from all seven films of the saga. But how exactly did they create such masterpieces? The Denver Art Museum is presenting Star WarsTM and the Power Costume. The exhibition will give museum visitors a look behind the scenes into the fantasy, marvel and delight of bringing characters in the Star WarsTM universe to life. 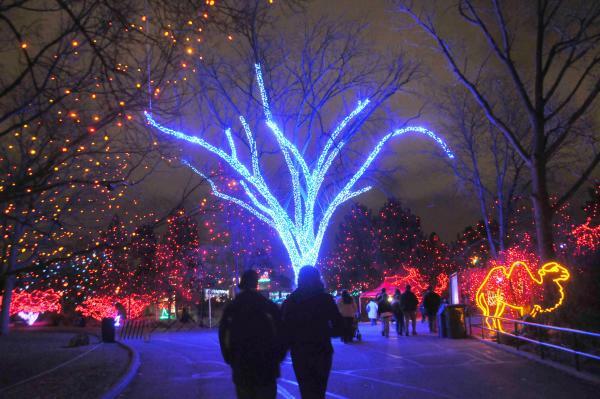 After wrapping up your Black Friday shopping, head downtown for Denver’s Grand Illumination. Light up the night at 6 p.m. with the largest lighting display in Denver, where 600,000 twinkling lights deck the neo-classical City & County Building. Festivities at Denver Union Station also begin at 6 p.m. with a countdown to light the lights live at 6:30 p.m. Other beautiful displays can be found at Larimer Square, Denver Pavilions, the 16th Street Mall and the historic D&F Clock Tower. Based on Charles Dickens&apos; classic novel, this joyous and opulent musical adaptation at the Buell Theatre in the Denver Performing Arts Complex traces money-hoarding skinflint Ebenezer Scrooge&apos;s triumphant overnight journey to redemption. ‘A Christmas Carol’ illuminates the meaning of the holiday season in a way that has resonated for generations. Embrace the holidays with thousands of colorful lights draped in elegant designs in this vibrant outdoor setting. Denver Botanic Gardens’ 2016 event features new elements, including the return of the grandly illuminated O&apos;Fallon Perennial Walk and the Romantic Gardens. Warm drinks, tasty treats and seasonal entertainment will be available, and a new interactive dynamic lighting display is being presented in the amphitheater. This Denver tradition is the signature event of the downtown Denver holiday season. The countless sparkling lights, marching bands, giant balloons, majestic floats and delightful characters will once again wow hundreds of thousands. Viewing along the parade route is free, and grandstand tickets are sold for seating in front of the beautifully illuminated City & County Building. Head downtown for the festivities. Guests of this popular holiday tradition will experience a light safari with 70 brilliantly illuminated acres of lights, featuring more than 150 animated animal sculptures that swing through trees, jump across lawns, hide in bushes and appear in places where they&apos;re least expected at the Denver Zoo. The tale behind the tale! The inspiration that spurred J.M. Barrie&apos;s “Peter Pan” is the subject of this heartwarming theatrical production presented by Denver Center for the Performing Arts at the Buell Theatre. “Finding Neverland” is one of Broadway’s biggest new hits and the winner of Broadway.com&apos;s Audience Choice Award for Best Musical! This unusual traveling exhibition features 15 giant sculptures depicting sea life, made almost entirely of debris collected from beaches. Hosted by the Denver Zoo, it’s the first time the exhibit has appeared at an inland, non-coastal location. Ninety percent of the debris collected comes from petroleum-based products such as plastics, nylon ropes and fishing nets. Meet some of the biggest, smallest and most amazing animals of all time at this Denver Museum of Nature & Science exhibition. Spectacular fossils, vivid reconstructions, fun interactives and lifelike models trace the ancestry and evolution of mammals while exploring how and why some of them are so over the top. From tiny to huge, from sloth-like to speedy, with oversized claws, fangs, snouts and horns, this cast of characters is full of surprises. 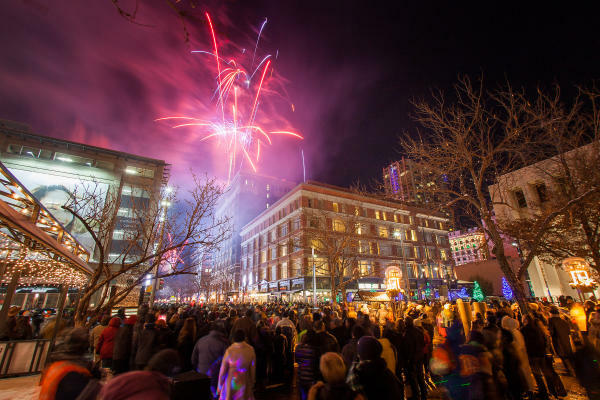 Ring in the New Year with downtown Denver&apos;s annual New Year&apos;s Eve Fireworks shows. There will be two displays, one at the family-friendly hour of 9 p.m. and the other at midnight, both of which can be viewed along the 16th Street Mall! Costumed entertainers will interact with crowds between shows, featuring magicians, costumed characters, balloon artists, stilt walkers, comedians and more. Come experience the best of Denver events and activities, plus enjoy great hotel deals starting at $99! Start planning your Denver holiday getaway at MileHighHolidays.com.